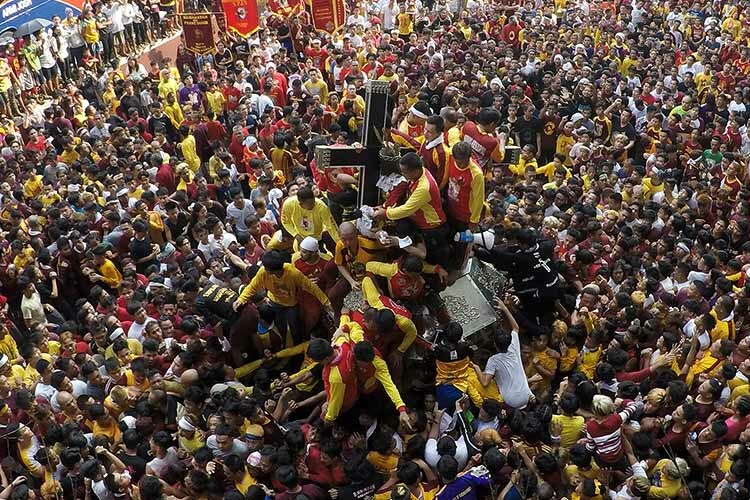 MANILA — The Department of Health (DOH) reported that it has provided medical assistance to 301 persons who joined the procession of the Black Nazarene or the annual “Traslacion” in Manila as of 2 p.m. Tuesday. Of the figure, about 127 suffered cuts, puncture wounds and soft tissue injuries, such as sprain, while 68 suffered hypertension, and 16 experienced dizziness. According to the DOH, none of them required hospitalization. The department has deployed 15 medical teams from DOH hospitals in Manila along the route of the procession. Manila’s local government units and partners, such as the Philippine Red Cross (PRC), also sent medical teams and ambulances.